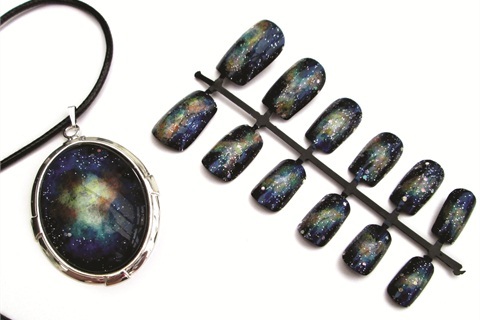 Go to the website of London-based nail artist and blogger Sam Fulton and you’ll find plenty of gorgeous pre-painted nail sets in her online store — many of them with matching nail polish jewelry. 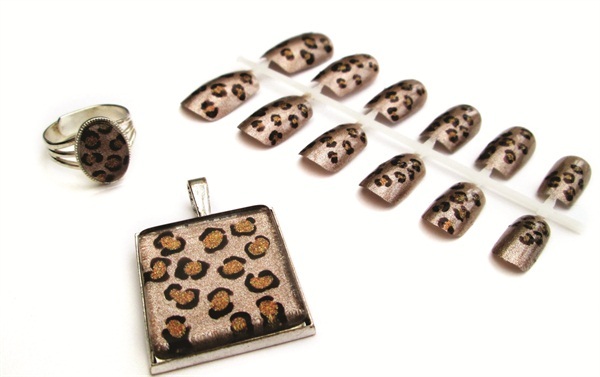 Fulton, the owner of FingerFood Nails (www.fingerfoodnails.com) also custom makes matching nail and jewelry sets at her clients’ request. “It all came about because I wear black most of the time and tend to accessorize with bright, sometimes detailed, nail art. But then I realized that the costume jewelry I own didn’t always go with the nails, so I decided to make my own,” she says. “I had already been making jewelry for years, but the real challenge was to find a way of translating the nail designs on to glass cabochons.” As her friends and clients saw her wearing her matching sets, they started asking her to create sets for them for special occasions. “It has become a fun new creative outlet alongside painting nail art,” she says.